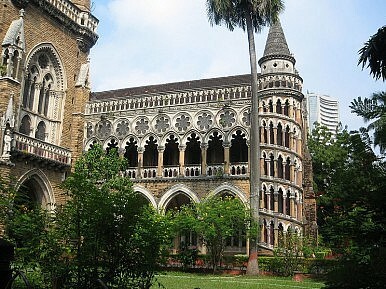 University of Mumbai has produced the most super-rich alumni in Asia. More multimillionaires have passed through the hallowed halls of University of Mumbai than the elite University of Cambridge and Brown University, reports the Times of India. According to the report, excluding American universities, the prestigious Indian institution comes in second only to Oxford in its number of mega-rich alumni and is far and away Asia’s most dependable incubator for the wealthy, including Reliance Industries chairman Mukesh Ambani and Sunil Gavaskar. Ranked 18th, the University of Mumbai is the only Indian school to make it into the top 20 schools on the list, thanks to its 372 multimillionaire graduates (whose combined net worth amounts to U.S. $37 billion). The findings come from a report on the world’s Ultra High Net Worth Individuals (UHNWIs) by wealth analyst Wealth-X, which also shows that the 229 UHNWIs have come out of the University of Delhi. Elsewhere in the Asia-Pacific, the University of Sydney produced a solid cadre of the super-rich, with 247 UHNW alums, along with the University of New South Wales (176 UHNW graduates), the National University of Singapore (163 UHNWIs), Tsinghua University (155), Peking University (136), University of Melbourne (123), Monash University (115) and the University of Technology, Sydney (101). Interestingly, Japanese and Korean universities were nowhere to be found in the study. For those who want to take the self-made path, Mumbai may not be their best bet, however. The report notes that the school has the most UHNW alums who have inherited their fortunes as well as the most graduates who have both inherited their money and gone on to build wealth of their own. Also worth noting, the University of Monash has the highest number of female UHNW alumni of any university outside the United States, at 17 percent of its rich graduates. The list is dominated by U.S. institutions, with Harvard in first place worldwide with its 2,964 multi-millionaires and a whopping 52 billionaires. Universities in the UK also make a strong showing, where Oxford tops the list with 401 über-rich graduates. The full report can be read here. Despite government figures, the Japanese public appears increasingly skeptical of capital punishment.